The ES hit 1106.75 today, that's pretty close to 1108ish which I had as a first target (1108.25: (a)=(c), 1105.5: 38 % retracement of 1217 to 1037, 1105.75: 50 % retracement of 1175 to 1037, so 1106.75 is actually right in the middle). From there we dropped a few handles and are now right below 1100. 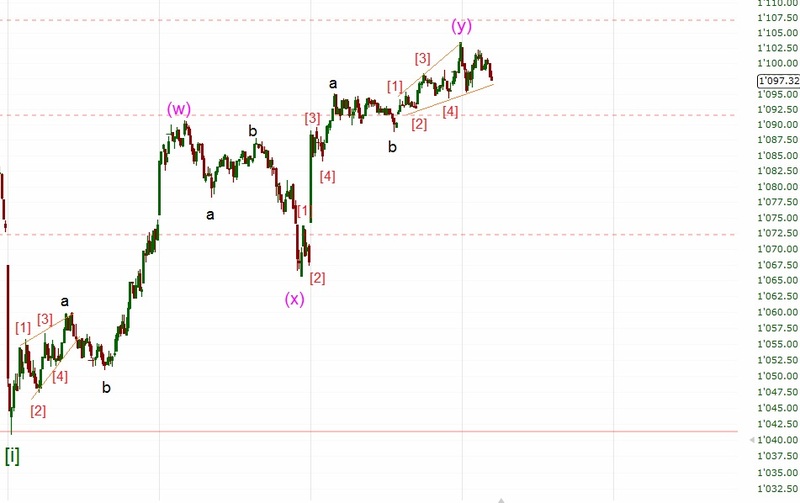 Let's see if this was wave [ii] or if we get a retest of the iH&S neckline around 1090 and then another rally towards 1140.